The cost of living in Switzerland is one of the highest in the world, especially in cities dear to expats hearts: Geneva and Zurich. You could find some interest in exporting your goods when moving to Switzerland rather than buying them locally at full price. Shipping goods to Switzerland is much quicker than most other countries, with an average timeline of only seven days, though this could be longer for those moving from far away. At the heart of Europe is a small country that is one of the biggest draws of the continent - Switzerland. It is a 41,290-square kilometer area landlocked by Germany in the north, Italy in the south, France in the west and Austria and Liechtenstein in the east. Its Alpine range is its most famous attraction and covers more than half of the entire country towards the south. It is Europe's main watershed with the rivers Rhine, Rhone, Ticino and Inn flowing into Switzerland's largest lakes: Lake Geneva on the southwestern border and Lake Zürich, Lake Neuchâtel, and Lake Constance on the east. Its highest point is Darfur Peak, which towers at 15, 217 feet above hilly lowlands and forests that comprise the rest of the country's landscape. Everything is set in a temperate climate that varies greatly from north to south. Aside from its striking scenery, Switzerland's geography contributes significantly to the diversity of its people. Of the total 8.2 million populations, 63.7% speak German, 20.4% speak French, 6.5% speak Italian and the remaining 0.5% speaks Romansh. Religion is another point of difference among the Swiss, who are predominantly Christians with minority groups of Muslims, Jews, Buddhists, Hindus, and Baha'is. This multiculturalism and multilingualism are believed to be a product of the associations with neighbouring countries: France, Germany and Italy. This is advantageous for new visitors to the country because expatriates feel more welcome in a place where diversity is inherent. Switzerland is an easy choice to make for expatriates who seek a life of peace, economic stability, technology, political neutrality, and simply want to be a part of something big and beautiful in central Europe. Switzerland is a landlocked country that boasts an abundance of treasures from Mother Nature such as the infamous Swiss Alps. This gem of Central Europe has proven that despite the high cost of living, it is still one of the best expat destinations in the world because of the excellent quality of life and prosperous career opportunities. Though the country is quite strict when it comes to migrants from non-EU countries, two million of its total population of 8.4 million are foreigners. Switzerland possesses the 19th largest economy by nominal Gross Domestic Product and has a low unemployment rate of 3.2% as of 2014. Aside from those, this nation is also reputed as the cleanest country in the world, ensuring a longer and healthier life of its residents. With so much to look forward in Switzerland, expats who are about to relocate should make adequate preparation and here are some useful tips that’ll help kick start a journey to the home of the snow-capped Alps. Proof of financial resources and health insurance coverage from home country. In Switzerland, it is not out of the ordinary to find an accommodation that contains almost nothing. No light fittings, no washers or fridge and sometimes, not even a kitchen sink. Though there are furnished rentals, most of them are quite expensive, so most expats choose to rent out unfurnished units and take the responsibility of filling the space up. It is best to be financially prepared either for purchasing furniture/appliances in Switzerland or importing the ones from the expatriate’s home country. Utilities are also most of the time, not included in the rental pay so don’t forget to prepare a budget of at least €120 to €130 per month to cover the bills for water, electricity and gas. Also, electricity in Switzerland runs at 50 Hz AC, and 220v and most of the plugs are two, three or five contacts. Expats must bring an adapter if planning on using electrical appliances that are not Swiss made. 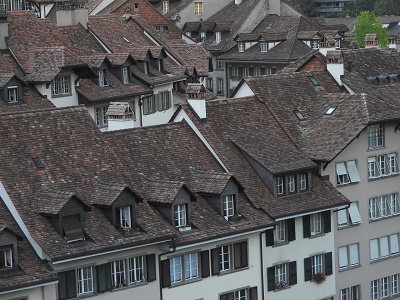 People relocating to Switzerland will find it wise to bring as many of their household possessions as they can since items can be expensive to buy locally. The import process won't be complicated, so that makes things a whole lot easier. Removal companies can also provide indispensable help with gathering the necessary documents. The first requirement for overseas shipping to Switzerland is the completion of customs form 18.44 where all household effects to be imported should be declared. Other documents that need to be submitted are an itemised list of everything to be imported, a copy of the expat's passport, a Swiss residence permit, a copy of the expat's contract with a landlord or a property title and valid registration to be obtained from the city hall. It is required that the importer is a resident of Switzerland so personal items, which must be in owner's possession for at least six months and may not be disposed of until at least one year after importation, are allowed to enter duty-free. Anything new or in owner's possession for less than six months has to come with an invoice and should be listed under an appropriate heading separate from that for old items. Movers in Switzerland will have a complete list of everything an expat needs to know before importing items into the country, especially those that are restricted. These include drugs and narcotics, anti-radar equipment, products made from endangered animals and cleaning fluids. Guns and ammunition are restricted except for those used for recreation such as hunting guns which may be allowed with special permits. Removals to Switzerland are best handled by professionals who can make the process simple and hassle-free. Switzerland is a landlocked country famed for its natural beauty such as the magnificent Alps and Swiss Plateau. 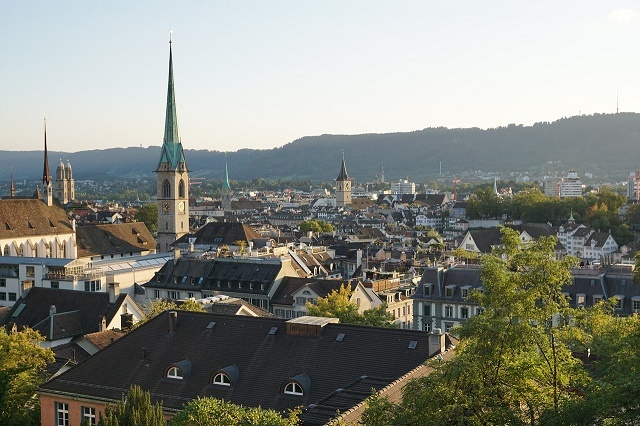 It is also the home of Zurich and Geneva, two of the most global and leading economic hubs in the world. This independent country in Europe holds a total population of 8.4 million people where almost 5% do not have Swiss passports. The two top reasons behind its popularity among foreign nationals are the high quality of life combined with the affordable cost of living. Residents of this nation enjoy above average salaries, little tax deductions, excellent health care and world-class local and international schools. There are indeed so many rich possibilities waiting in Switzerland and below is some info that’ll arm expats who are on their way here. My name is.. - Mi name isch.. I am from.. - Ich bi vo..
How much is this? - Was koschtet das? Switzerland has a mild climate with no extreme heat, cold or humidity. Expats who are about to live here will experience four seasons within a year: spring (March to May), summer (June to August), autumn (September to November) and winter (December to February). During the summer season, the average daily temperature is 18 to 28⁰C while winters can cause the temperature to drop from -2 to 7 °C. Rainfall is also prevalent between the months of June and August where residents can even experience thunderstorms at night. Expats should pack accordingly to the Swiss weather where coats, gloves and boots are of great use during the winter season. Some locals use thermal underwear for those freezing days, so there’s no harm in bringing a couple of pairs as well. Other items on the packing list should include lightweight garments for summer and umbrellas or any rain gear to avoid getting soaked on rainy days. Expats will not run out of places to go when it comes to their shopping needs. 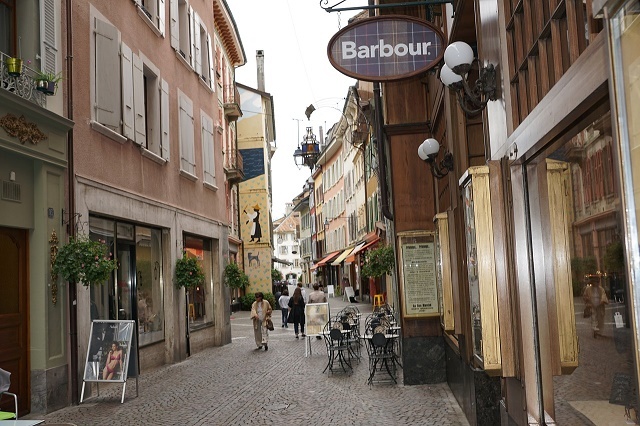 There are many large malls scattered across Switzerland where people can shop, watch movies and dine. Some of them are Shoppi Tivoli in Spreitenbach, Sihlcity in Zurich and Rue de la Confédération area in Geneva. Store hours vary in every region, but most of them are open from 9-9:30 am until 7-8pm, Mondays to Fridays and until 4 pm on Saturdays. It is common for Swiss establishments to be closed during Sundays, but expats will find several open pharmacies for their emergency needs. When it comes to food, locals usually do their shopping in supermarkets. Though there are local markets in every town, they find it more convenient to buy in grocery stores where almost everything is available. The three largest supermarkets in the country are Coop, Migros and Globus.